120x160mm Organza Pouches--Organza pouches are an inexpensive way to spice up your packaging. They are a staple among many crafters and handmade jewelry artists. Our organza pouches are available in different sizes and colors. 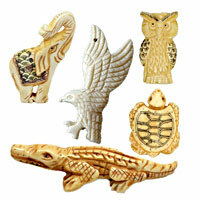 They are great for packaging gifts, wedding favors, cosmetics, candies, jewelries and more. Wholesale these versatile organza pouches from chinabead.cc! NOTE: Our Min. order is for each color each size. China Beads accept OEM/special orders. Contact us now!